Chanie haunts me. His story is Canada’s story. This is about Canada. We are not the country we thought we were. History will be re-written. We are all accountable, but this begins in the late 1800s and goes to 1996. “White” Canada knew – on somebody’s purpose – nothing about this. We weren’t taught it; it was hardly ever mentioned. I have always wondered why, even as a kid, I never thought of Canada as a country – It’s not a popular thought; you keep it to yourself – I never wrote of it as so. The next hundred years are going to be painful as we come to know Chanie Wenjack and thousands like him – as we find out about ourselves, about all of us – but only when we do can we truly call ourselves, "Canada." 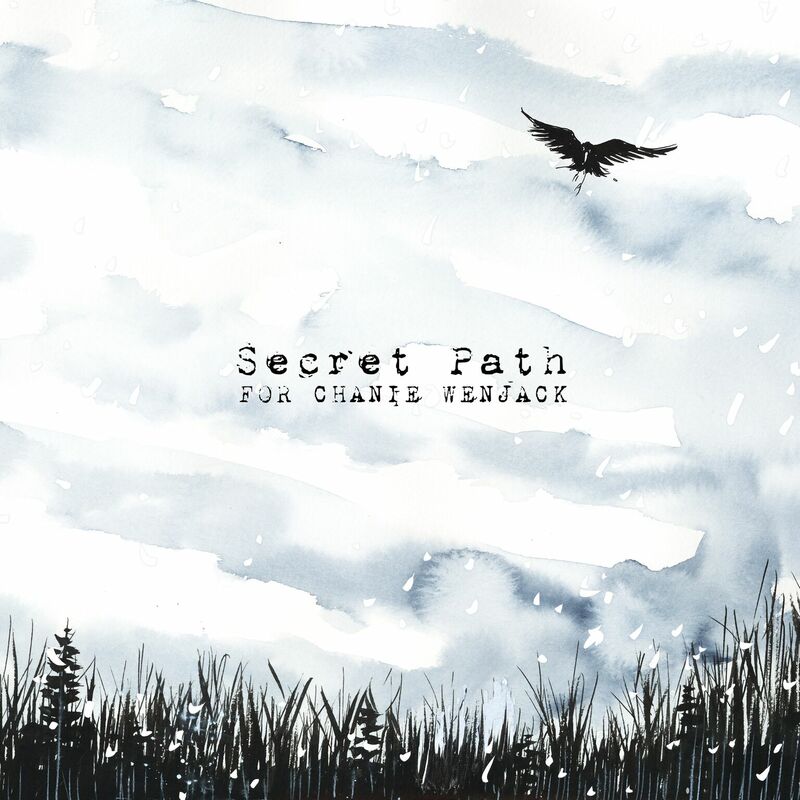 Proceeds from the sale of Secret Path will go to The Gord Downie Secret Path Fund for Truth and Reconciliation via The National Centre for Truth and Reconciliation at The University of Manitoba. 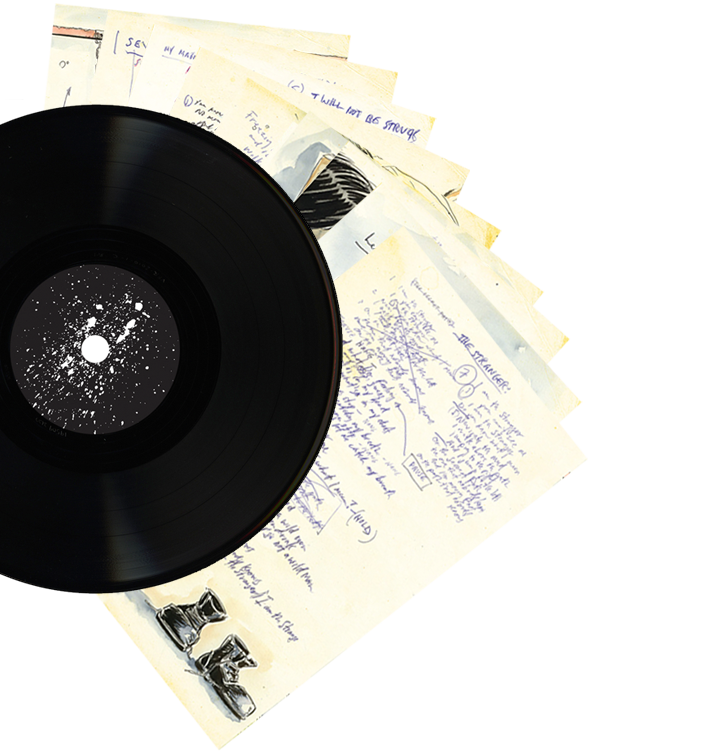 The stories Gord’s poems tell were fleshed into the ten songs of Secret Path with producers Kevin Drew and Dave Hamelin. Recording took place over two sessions at the Bathouse in Bath, Ontario, November and December 2013. The music features Downie on vocals and guitars, with Drew and Hamelin playing all other instruments, except guest contributions by Charles Spearin (bass), Ohad Benchetrit (lap steel/guitar), Kevin Hearn (piano), and Dave “Billy Ray” Koster (drums). 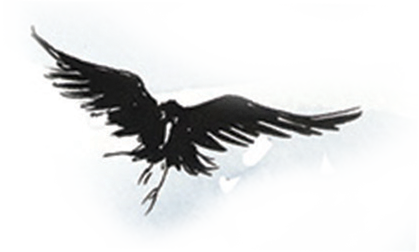 In winter 2014, Gord and Mike brought the recently finished music to comic artist Jeff Lemire for his help illustrating Chanie’s story, bringing him and the many children like him to life. Secret Path acknowledges a dark part of Canada’s history – the long-supressed mistreatment of Indigenous children and families by the residential school system – with the hope of starting our country on a road to reconciliation. 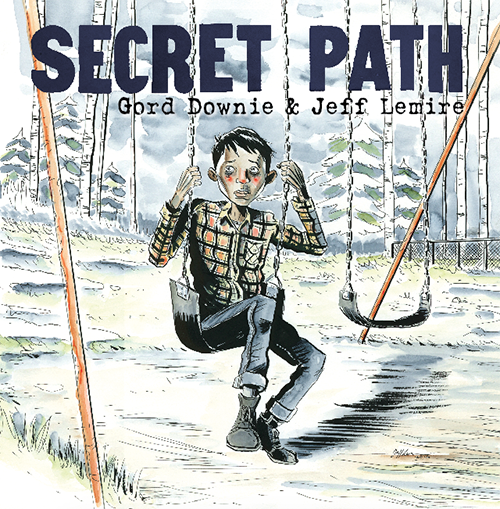 Downie’s music and Lemire’s illustrations inspired The Secret Path, an animated film broadcast by CBC in an hour-long commercial-free television special in Sunday, October 23. The Secret Path and Road to Reconciliation panel discussion can be watched at cbc.ca/secretpath. 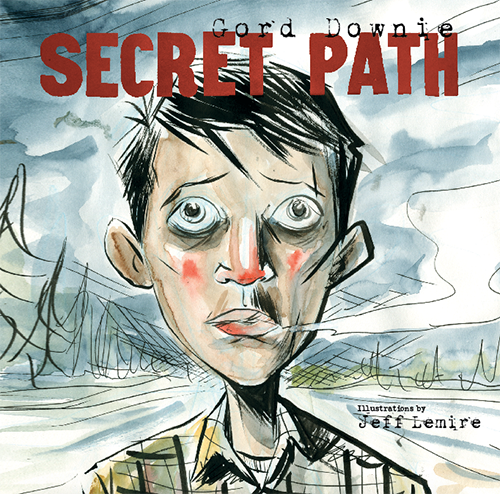 The Secret Path was created, written, and directed by Gord Downie, composed by Gord Downie with Kevin Drew and Dave Hamelin, and illustrated by author Jeff Lemire. The film is executive produced by Mike Downie, Patrick Downie, Gord Downie, and Sarah Polley. The Secret Path is produced by Entertainment One (eOne) and Antica Productions Ltd. in association with CBC, with the participation of the Canada Media Fund and the Canadian Film or Video Production Tax Credit. Jocelyn Hamilton is executive producer for eOne Television and Stuart Coxe is executive producer for Antica Productions. Animation is directed by Justin Stephenson, produced at Solis Animation Inc. and composited by Even Steven Inc. The Secret Path was broadcast by CBC in an hour-long commercial-free television special in Sunday, October 23. The Secret Path and Road to Reconciliation panel discussion can be watched at cbc.ca/secretpath. 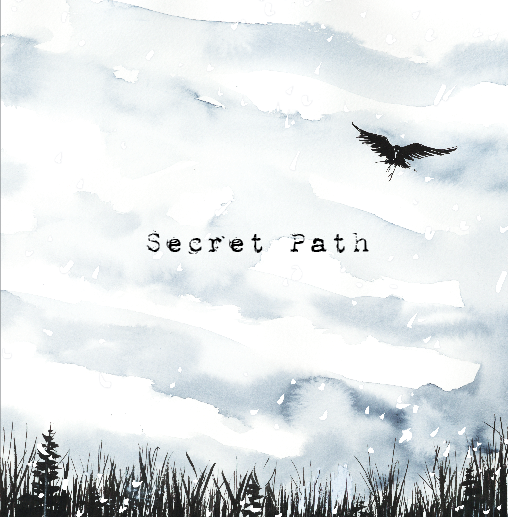 Proceeds from the sale of Secret Path will be donated to the Gord Downie Secret Path Fund for Truth and Reconciliation via The National Centre for Truth and Reconciliation (NCTR) at The University of Manitoba. The NCTR is dedicated to preserving the history of residential schools in Canada, making this history known, and moving our country forward on the path of reconciliation. These funds are dedicated to finding the missing children. The Downies and Wenjacks are also raising money for the newly created Gord Downie & Chanie Wenjack Fund. The Fund operates out of the Toronto Foundation and focuses on cross-cultural education to support healing and recovery. It will also directly support the National Centre for Truth and Reconciliation at The University of Manitoba. The Gord Downie & Chanie Wenjack Fund (DWF) embodies Gord Downie’s commitment, and that of his family, to improving the lives of First Peoples. The Fund will foster new relationships between Indigenous and non-Indigenous peoples, while strengthening the voices and work of groups already making a difference. Money raised for the DWF will be used to create new relationships for reconciliation.